In India, many Android device users ended up with a strange number on their contacts list. 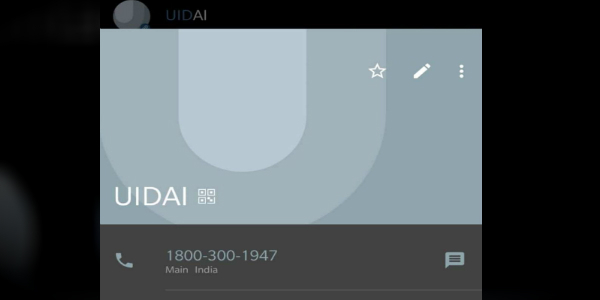 The number in question was 1-800-300-1947, the old number for the Unique Identification Authority of India or UIDAI. Eventually, the number appeared on iPhones where the owner imported contacts from an Android. UIDAI was formed by the Indian government in 2009 and operates under the country’s Ministry of Electronics and Information. The Authority is responsible for issuing the 12-digit identification number called aadhaar–basically a social security number. Aadhaar are tied to an individual as a means to collect demographic information and prevent all manner of identity fraud. The number caused a lot of concern and many went to Twitter for answers. Some sleuths decided to find out who could be responsible for the number ending up on Android devices as well as some iPhones. One conclusion points the finger at Google since several tests revealed that the number only hits phones made in India. Another theory is that service providers are responsible. Eventually, Google came clean and said it put the number on devices. The company apologized for the concern raised and stated that it was working on a fix that will be included in an update to the SetUp wizard–over the next couple of weeks.